Islamic Relief was named the winner of the prestigious Bond Innovation Award, which recognised its inventive approach to helping to eliminate extreme poverty through its Alternative Livelihoods for Orphaned Families (ALO) programme. Bangladesh is one of the world’s most densely populated countries. Orphaned children and widows living in extreme poverty in Bangladesh typically lack skills, assets, capital, and land. Their income is irregular, often reliant on daily wages. As a result, they are vulnerable to abuse, suffer from lack of food, struggle to meet school expenses, and find themselves socially excluded. The innovative Alternative Livelihoods for Orphaned Families (ALO) programme, devised by Islamic Relief Bangladesh, offers education and protection for orphaned children and provides their guardians with the funds, skills and business acumen they need to make whole families self-sufficient within four years. The ALO programme combines cash grants with building knowledge, skills, rights-awareness, social solidarity and institutional connections. This helps transform the lives and livelihood of orphaned families – enabling families to lift themselves out of extreme poverty. It also helps build diversified assets, promote and protect child rights and lead their own sustainable development efforts. The project which was piloted in the Kawnia district of Bangladesh, where 43% of the population lives under the extreme poverty line, has been hugely successful with participating families now bringing home almost four times what they used to earn. Due to the remarkable success rate, the local government is now replicating Islamic Relief’s model across other parts of Bangladesh. “We are honoured and delighted to have received this recognition from Bond. This demonstrates our outstanding commitment to finding innovative and sustainable solutions to tackle extreme poverty and its crippling effects. “Our donors already enable us to provide one-to-one child sponsorship for over 50,000 orphans around the world. The ALO programme helps us to address lessons learnt from the traditional child sponsorship model. It empowers people so they can earn more money, break out of the brutal cycle of poverty and provide for themselves. “This award is for our teams in the field and local communities in Bangladesh who have worked tremendously hard to implement this innovative programme. 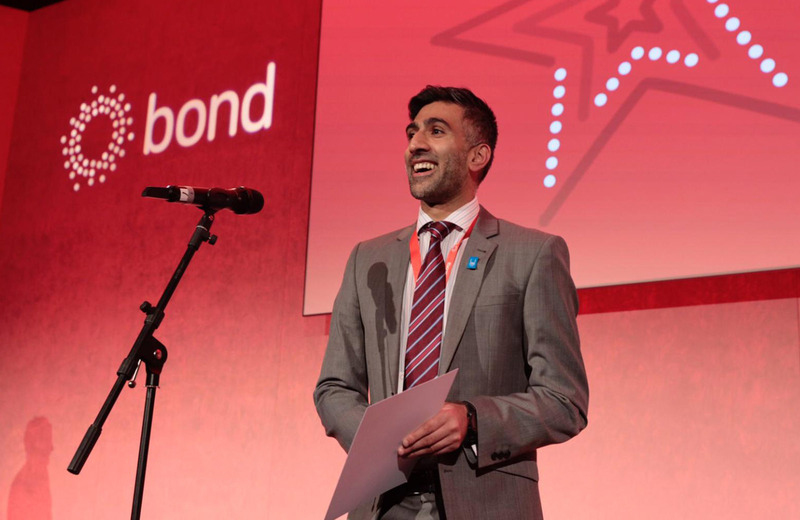 Bond, an umbrella group of international development organisations, announced the award at its annual conference in London on 18 March 2019. Pictures can be downloaded here. A short video on the ALO programme can be viewed here. Islamic Relief is an international aid and development charity that aims to alleviate the suffering of the world’s poorest people in more than 30 countries, mainly in Africa, Asia and the Middle East. As well as responding to disasters and emergencies, Islamic Relief promotes sustainable economic and social development by working with local communities – regardless of race, religion or gender. Islamic Relief has helped more than 117m people across the world since its foundation in 1984. Islamic Relief is one of the 14 UK charities that form the DEC (Disasters Emergency Committee). Bond’s International Development Awards showcase the important work of the sector. The awards celebrate the inspiring humanitarian and development work of the Bond network. Each category reflects and responds to important trends and challenges in international development. There are eight categories to the Bond Awards. This year Bond received 47 impressive entries, covering a wide spectrum of people, projects and organisations. Expert judges narrowed these down to three finalists in each category.